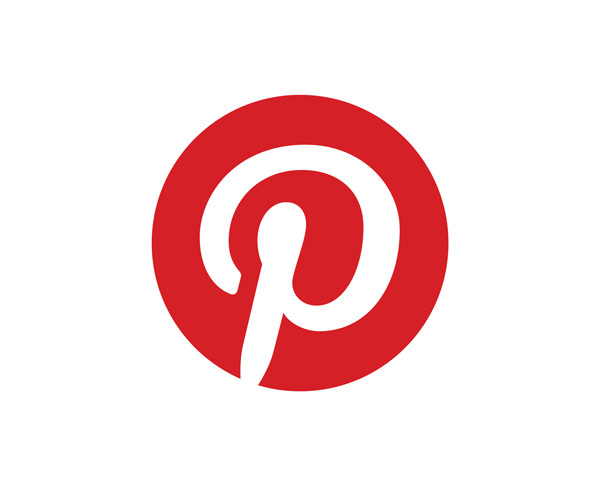 Coming up soon: a fortnight (possibly 3 weeks) of productivity posts. As a teaser, today’s #52Tech post provides one productivity tool which blends digital with old school paper: Standards. Standards is a digital / analogue system. Yes, I meant to say that. Jake also calls it a “To-Do Grid”, a “Recurring To-Do List” or a “Habit List”. The Standards grid is more about habits or behaviours, or designing your actions, sculpting yourself,rather than a daily to do list. 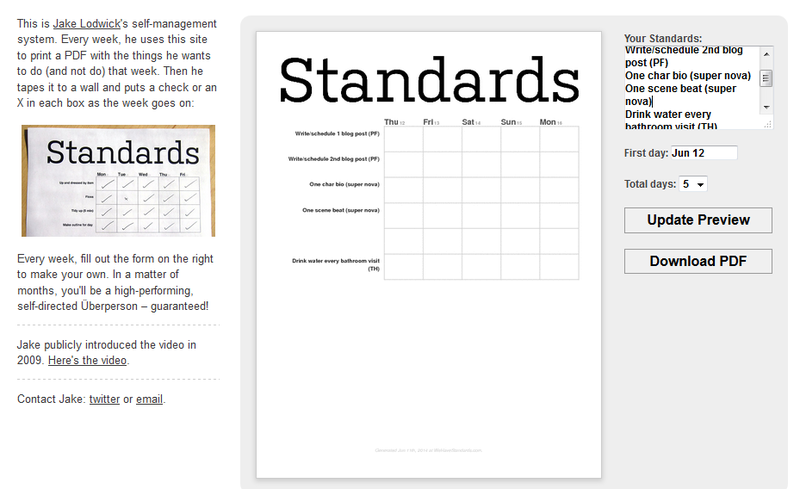 What Standards actually is: an online webpage where you can input your weekly tasks into a form. The form then creates the week and task list as a downloadable PDF – which you print out and stick up on your wall right in front of you. And check them off, of course. Obviously such a simple system is compatible with many of the productivity systems featured in an upcoming productivity post series which will include descriptions of some of the terms I’m about to spin out here. I recommend drilling down to your top MITs (Most Important Tasks) and only listing these onto the Standards sheet. I’ve allowed myself 3 of these (listed as 4 because I am doubling up on blog posts for this series), and one tiny habit. In my example my tiny habit behavioural modification is to drink water every time I visit a bathroom – because I know I don’t drink enough liquids. Limit your list to only a few tasks or habits to allow focus. As Jake suggests in his video, it’s also not a great idea to put some time markers or other deliminators on these tasks – like setting down something like “Write for 1 hour” or “Write 1000 words” – Jake suggests he doesn’t do this because it’s reminiscent of being micro-managed (and in fact, is micro-managing ourselves), but such deliminators also can take some of the value and creativity out of tasks. If you do use enforced metrics in a task, make sure it offers some way to achieve value to the overall project, and a sense of progression ie. If you want to work on a task of writing for one hour per day (which is a great way to apply a limitation to a task), think about how that writing time will progress the project – and make sure it is spent productively to create progress specifically in that area. The beauty of the Standards website is that you can trigger the form fill from any date – selected via the calendar. This means that if you have to change your top tasks (say, you’ve completed two, and want to work on two more), then simply set a new form and print it out from today. As Jake explains in his video (below) he found this system better than messing around rejigging spreadsheets etc. The obvious benefit – the binary style of having a very simple chart up on the wall, which you can check off – means your goals and tasks are always in your face, as a reminder. And for many of us, made public for friends and family. You are not reliant on alarms or reminders from forgotten digital apps that are easily passed over. In 2009 Jake created a video discussing why he created his personal self-management system, and “standards”.